Welcome to Space Coast Foot & Ankle Center's website the home of Dr. Jack MacKenney and Staff. Here you will find a family run office courteous and understanding to your foot problems and needs. Space Coast Foot & Ankle Center was voted Best of Brevard by Florida Today Newspaper for Specializing in Medicine & Surgery of the Foot & Ankle. Welcome to Space Coast Foot & Ankle Center, the home of Dr. Jack MacKenney and Staff. Here you will find a family run office courteous and understanding to your foot problems and needs. Our goal is to provide you personalized foot care while making you feel like part of our family. We started our family owned and operated business in 2004 and focus our efforts on providing the best foot and ankle care in Brevard County. Dr. Jack MacKenney is Board Certified by the American Board of Podiatric Surgery, able to provide the ultimate in care for every patient. While serving in the region for many years, Dr. MacKenney has been named #1 Podiatrist in Brevard County. Patients of Space Coast Foot are happy with the treatments they receive as well as the caring nature of Dr. MacKenney and his staff. At Space Coast Foot & Ankle Center, we specialize in individualized care. We do not take a one-size fit all approach. We treat every patient as an individual and review your specific case before making any decisions to help you feel better. As the best podiatrist in Melbourne, we focus our care to ensure every patient is treated effectively, ensuring foot pain or common issues like plantar fasciitis is a thing of the past. While our Brevard County office treats several foot and ankle conditions, there are common issues that many people face. Among this list is plantar fasciitis, or arch pain. This type of arch pain takes place at the bottom of the foot between the heel and the ball of the foot. Soreness will be found on the ligament that is known as Plantar Fascia. A strain or inflammation of this area can come about due to overuse, support issues or improper shoe size, even body weight or injury can affect this ligament. Our office can provide you with a full assessment to review your arch pain and determine if plantar fasciitis is an issue. Let our team review your foot pain and come up with the right solution for treatment. 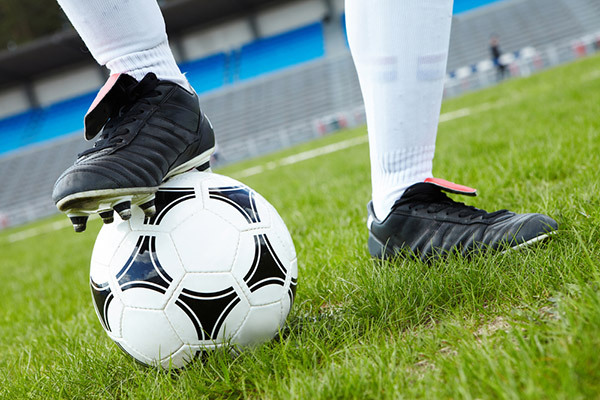 Another common condition we treat is athlete's foot, also known as Tinea Pedis. This fungal infection is specific to the feet and is common in our region due to the warm climate. Feet will sweat more and this condition can develop due to certain environments including the gym or local swimming pools, as these are breeding grounds for fungus. If you have developed a dry, itchy and scaly skin around the toes and on the bottom of your feet, then you may have this condition. 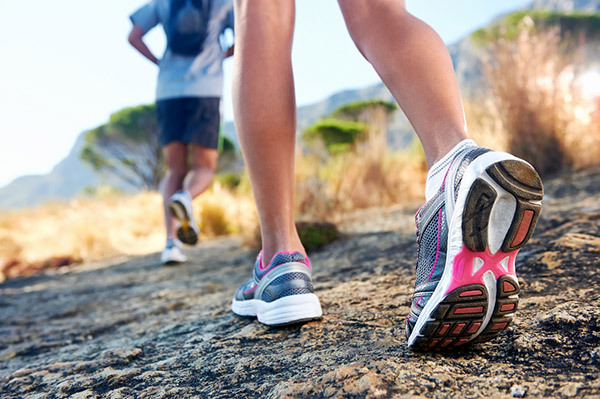 Let our experts evaluate your feet and provide a proper diagnosis. Arthritis of the foot is another condition we treat, focusing on easing joint inflammation on the toes and other areas of the foot. Arthritis can affect the joints of the feet, which results in pain as well as swelling and deformity. You may even lose function, with the ability to walk greatly affected. An appointment with our podiatrist will ensure you receive the best treatment possible and find a solution for your individual needs. Dr. Jack MacKenney is always taking new patients. If you are in need of podiatric care, we are happy to assist. Easily schedule an appointment and prepare for your visit with our patient information forms available online. We make it easy for new patients to be ready for their appointment, quickly moving forward with a review of foot and ankle issues. Save time during your appointment by preparing your information early. New patient forms can be printed from your computer and filled out ahead of time. Bring the paperwork with you to your appointment, allowing us to set up your new patient file with ease. Setting up an appointment for a consultation is simple. Contact our office via telephone or use our Appointment Request form online. When filling out the request form, you will need to add personal details and describe the needs of your appointment. Once reviewed by our scheduling coordinator, you will be contacted to confirm the appointment. With multiple formats for scheduling, you can easily take time to set up an appointment with our podiatrist. If you are having foot problems but unsure as to whether or not you need help from a podiatrist, it is important to learn more about issues that should cause concern. Take for example a deformity of the foot that occurs all of a sudden. Imagine if you woke up one day and your foot is in pain, showing signs of redness and is hot and swollen. This could be a sign of Charcot arthropathy. This is a problem that can occur when you have diabetes. This issue can lead to bones breaking and slipping if not treated correctly. Such sudden changes to the feet or ankles should always be evaluated by a podiatrist. Have you noticed a new lump or bump on your foot that is growing and painful? This is another reason to see a podiatrist. The lump/bump may be a cyst or it could be a tumor. It is important to have any growths reviewed so that proper treatment can be provided. Discoloration of the feet is another issue that should be reviewed by a podiatrist. In general, both feet should look the same, including coloring. If one foot is a different color than the other and it is noticeable, it could be a sign of an issue. Red coloring indicates an infection or gout while purple or blue coloring indicates a vein problem. White coloring can be a sign of decreased blood flow to the feet. No matter the color, the feet should be reviewed to ensure there is no major problem. Overall, any change to the feet or ankles should be reviewed by a professional. If you are in pain, have swelling, discoloration, growths, etc., schedule an appointment with our office for professional assistance. Brevard County has become our home over the last 15 years. We were voted by our patients by Florida Today as "Brevard's Best Podiatry Office." You can rest assured that when you come into our office you get the special attention your foot concerns deserve. This means Dr. MacKenney spends the quality time with each of his patients in teaching and answering your questions about your specific foot problems. No issue is too small or too difficult. Dr. MacKenney takes time and makes an effort to give the proper attention to every patient. By learning more about your issue, asking questions and reviewing your foot, he can provide the best form of treatment to ensure you feel better and have proper foot function in no time. When we say our staff is like a family, its because we truly are family. Dr. Jack Mackenney's wife Hope is the office manager and nurse and his mother in-law Louise is the receptionist and a nurse! As you browse through our website you will find information about our office, location, family (staff), insurances, as well as the services that we provide. Feel free to use our request appointment page or call our office for more information. Our hope is that you become part of our family. We invite you to email or call our office with any questions via the contact us page of our website. 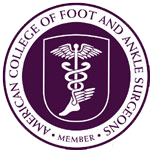 We look forward to serving you and your foot and ankle needs.